Superfeet TRAIL insoles adapt the generic, 2-dimensional surface inside of your roomy hunting boots to your 3-dimensional foot. 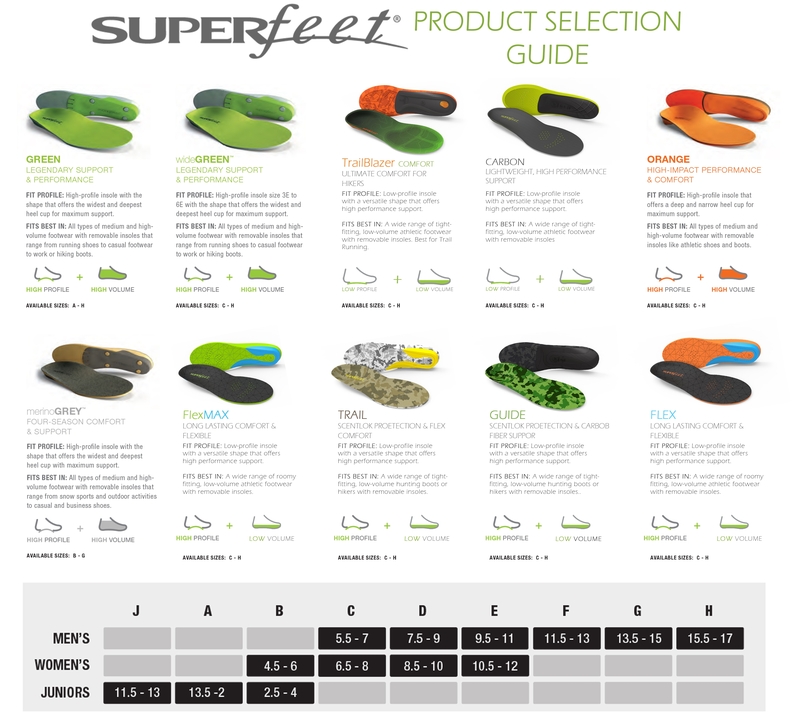 The distinct Superfeet shape helps to stabilize the foot, while the flexible heel cradle and full-length foam provide support and comfort with every step. Keep you cool and comfortable while scouting in the late summer heat. Featuring an exclusive ScentLok layer, Aerospring impact foam and Silent Step stabilizing shape, Superfeet TRAIL insoles provide long-lasting comfort when you’re miles out. The ventilated forefoot and Ground-Sense impact dampening technology make the hours in the field easy on your feet.